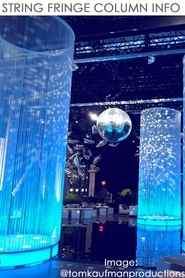 String Columns are huge fabric columns that can hang from the ceiling of your events. You can shine different colors of LED lights on them and totally change the color of them! 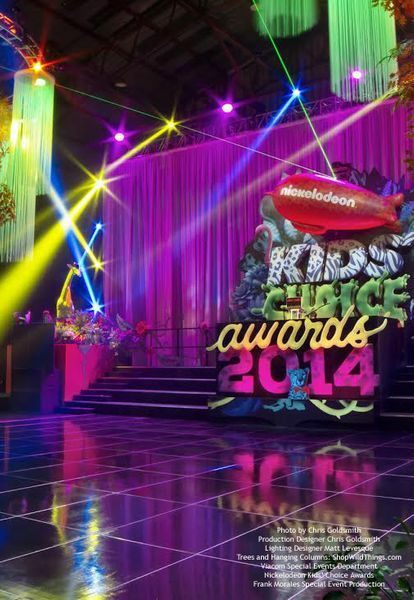 In this scene created for the Nickelodeon Kids' Choice Awards, we provided White String Columns with Fire Treated fabric. For the same event, our LED Willow Trees were used in a lounge area. Photos used with exclusive permission and may not be duplicated.